New Medicare Cards For Everyone! 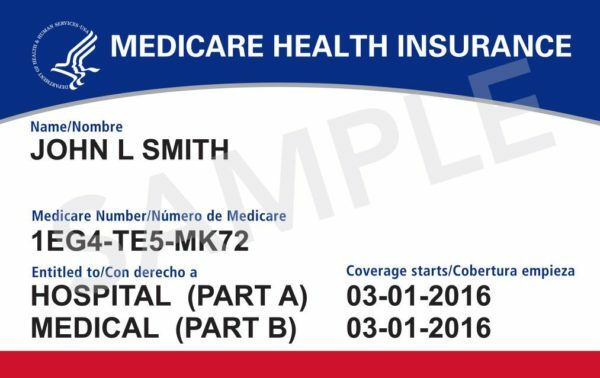 Starting in April, 2018 ALL enrolled Medicare recipients will receive new ID cards like the one shown here. The new cards will be printed without using insured’s Social Security numbers for security reasons. the NEW card will NOT replace their healthcare plan card. the new Medicare number on the card will be needed anytime they join, leave or switch to a new plan. the NEW card may be needed to obtain hospital services. the OLD card can be destroyed when the NEW card is received.